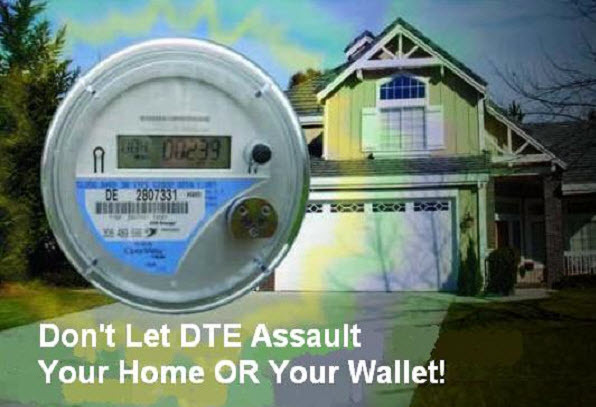 Macomb County – Smart Meter Opt-Out? Installations are beginning NOW in Macomb County. In the wake of the recent Order by the Michigan Public Services Commission, many are asking if they must now pay expensive fees to avoid the harm of these meters. In this program we will clearly explain the harm of these meters and why, even if you do pay so called “opt-out” fees, you will still experience most of that harm. FIGHT BACK! Smart meters cause dangerous levels of microwave radiation and low frequency “dirty electricity” to penetrate your home, continuously at close range. The “remedy” now offered by DTE with MPSC approval, is an “opt-out” plan that is no remedy at all. You will be asked to pay substantial extra fees to have a ‘smart’ meter with the radio turned off. Rep Tom McMillin has introduced legislation to restore justice to homeowners. Speaker: David Sheldon – President, Michigan Stop Smart Meters. Linda Kurtz from SmartMeterEducationNetwork.com will also give a presentation on action steps we can take. Here in Victoria Australia the five (5) foreign owned Electrical Power Companies are in collusion with the Victorian Government and it seems will very likely try to force us their Electricity Customers, to pay a fee in 2015 for those of us keeping and refusing for Health Reasons as well as other reasons, to give up the Safe and Passive Analog Electric Meters on our privately owned home and or small business properties. This threat by the five foreign owned Electric Power Companies in collusion with the Victorian Government, is no less that Extortion or Blackmail and we have advised those same powers that to impose a second and extortionate fee upon us, is the height of Evil as we are already paying for the meter reader man to come and take his three monthly readings of our Analog Electric Meters already. If they of the five foreign owned Electric Power Companies aided and abetted by this now collusory Victorian Government try and force yet another fee or impost upon us in 2015 as they have indicated already, I as well as some two hundred thousand of us and still growing in number, will most certainly resist this Wickedness of the foreign five owned Electric Power Companies and this also Victorian Liberal Party who are acting in collusion with these foreign owned Electric Power Companies.